The Package class is a data provider for the internal FileSystem class. You can load all the resources via this class. This article describes the sample located in the <UnigineSDK>/source/csharp/samples/Api/Systems/Package/ directory. In the C# API you can inherit from the Package class only once. 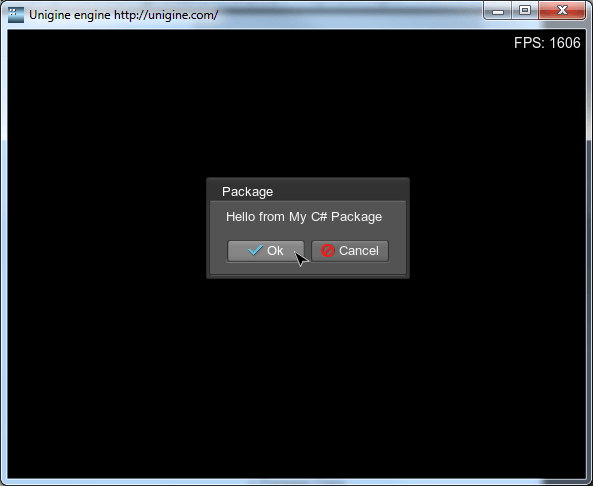 An example can be found in the <UnigineSDK>/source/csharp/samples/Api/Systems/Package/ directory. The C++ API Unigine::Package class and the Unigine::FileSystem class which have the same methods and behavior as in the C# API. To use the Unigine.Package class, you should create your own class and inherit it from the Unigine.Package class and override virtual methods. // create an instance of the MyPackage class and add it to the FileSystem. The MyPackage class has overridden readFile(), selectFile(), getFileName() and getNumFiles() functions. The class operates with two files located in the my_data folder. In the Main() function we create an instance of the MyPackage class and add it to the FileSystem.